Head Coach Paul Wyczawski (pronounced Why-Chow-Skee), the seventeenth coach in school history, leads a Spartan baseball team founded in 1915. Join a program which has over 38 All-Iowa Conference selections and 10 All-Region performers in the past 16 seasons, including one All-American and a Gold Glove recipient. UD placed second in the IIAC in 2017 and Wyczawski earned Coach of the Year honors for his work. In 2018, UD returned their winning form by claiming the IIAC regular season championship and tournament title. Wyczawski earned his second consecutive Coach of the Year honor and helped his squad advance to the NCAA Division III National Championship Midwest Regional. The Spartans placed third in the regional and ended the season with a 26-17 overall record and 33 school records in the process. UD claimed two members of the ABCA/Rawlings All-Central Region Team in 2018. Chase Kueter (RHP, R/R, 6-2, 185, Jr., Bellevue, Iowa/Bellevue H.S.) and fellow pitcher Nathan Schneiderman (LHP, L/L, 6-5, 220, Jr., German Valley, Ill./Forreston H.S.) earned the prestigious honors for the Spartans. The Spartans pitching staff dominated opposing batters all season long, setting staff records for ERA (3.58) and strikeouts (292). Each of the weekend starters posted a 3.19 ERA or better, with two of the three posting a sub 3.00 ERA. Kueter led all UD pitchers with a 2.68 ERA and school records of innings pitched at 94.0 and strikeouts with 78. Nathan Schneiderman continued to be brilliant out of the bullpen and now has the UD career saves record of 13 after completing his junior season. Doug Van Dyke, an Aviation Flight Operations graduate ended his stellar career by breaking the school's all-time wins mark with 19 victories. Kueter also earned the 2018 ABCA/Rawlings NCAA Division III Golden Glove as the pitcher on the team. Just nine members earn the Gold Glove Award and he was the only pitcher and Iowan to achieve the honor in 2018. Dan W. Runkle Baseball Field (dedicated on Oct. 20, 2017) in the Chlapaty Sports Complex has seen recent renovations which include a turf infield (new in fall of 2017), new batting cages, new sculpted dugouts, press box, year-round water fountains in each dugout, and permanent fan stadium seating around the back stop. Rain or shine, take advantage of the state-of-the-art, indoor Veterans Memorial Training Center all year-round in a multi-purpose facility that features nearly 40,000 square feet of Mondo synthetic turf that simulates the feel and play of real grass. Veterans Memorial is located right behind the baseball field and hosts in-season and off-season workouts. UD alumni who continued their careers into the major leagues of professional baseball include Pat Parker and Lefty Taber. Parker was 22 years old when he broke into the big leagues on August 10, 1915, with the St. Louis Browns. Taber was 26 years old when he signed to play with the Philadelphia Phillies on September 4, 1926. Spartans who continued to play after college include: Johnny Armstrong (catcher/second base played in Mississippi Valley League and Oklahoma City of the Western League, 1922-1925), Solomon Butler (Kansas City Monarchs in 1925), Fred Van Iten (catcher for the St. Louis Cardinals organization), John Don Wilson (played for the St. Louis Cardinals organization), Brandon Mather (catcher for the Dakota Rattlers), Joe Hapanionek (first base for the Sioux Falls Canaries & Windy City ThunderBolts), and Spencer Kuehn (outfield/pitcher for the Mannheim Tornados). Click image for Registration form. If you're interested in playing baseball at the University of Dubuque, complete the prospect form, and a coach will be in touch. 1 Josh Pawlowski OF 5-9 140 Sophomore Poplar Grove, Ill.
3 Isalino JJ Valencia OF/C 5-6 170 Junior Marysville, Wash.
5 Jack Lasswell SS 5-9 175 Senior Crystal Lake, Ill.
6 Jacob Sonnefeldt SS/3B 5-10 165 Sophomore West Dundee, Ill.
7 Edward Rosas RHP/2B 5-10 165 Freshman Rancho Palos Verdes, Calif.
8 Estevan Guillen LHP 6-0 180 Freshman Queen Creek, Ariz.
9 Tyler Carlson LHP/OF 5-10 180 Junior Crystal Lake, Ill.
10 Zach McCoy 2B/SS 5-10 170 Sophomore Modesto, Calif.
11 Max Snowden OF 6-0 18 Freshman Round Lake, Ill.
12 Ian Meyer 3B 6-0 215 Sophomore Monett, Mo. 13 Kellen Mitchell 1B/3B 6-2 190 Sophomore Batavia, Ill.
16 Nick Sewruk RHP 5-10 185 Senior Montgomery, Ill.
17 Mike McGuire RHP/C 5-10 175 Sophomore Bessemer, Ala.
18 Justin Jensen C 6-2 190 Junior Morrison, Ill.
20 Jack Dieckman C 6-0 190 Freshman Glendale, Ariz.
21 Jarad Clevenger OF/INF 6-1 175 Senior Tallahassee, Fla.
24 John Ratcliff C 6-0 220 Sophomore Oceanside, Calif.
25 Tyler Durelle OF/RHP 6-3 190 Freshman Peoria, Ariz.
28 Zach Asik LHP/OF 5-11 180 Freshman New Berlin, Wis.
30 Tyler Milford LHP 5-11 165 Freshman Lonsdale, Minn.
31 Anthony Scanlon RHP 6-0 175 Freshman St. John, Ind. 33 Jordan Goldstein SS/2B 5-8 160 Freshman Huntley, Ill.
34 Brian Sholty RHP 5-9 180 Senior La Mirada, Calif.
35 Thomas Kempf 1B 6-2 245 Senior Chicago, Ill.
36 Luke Dunham RHP 6-2 200 Sophomore Lakewood, Ill.
37 Nick Casarietti 3B 5-9 195 Freshman Trabuco Canyon, Calif.
39 Daniel Butler RHP/IF 6-3 190 Freshman Brookfield, Wis.
41 Noah Zimmerman RHP/OF 6-2 195 Freshman New Glarus, Wis.
44 Nathan Schneiderman LHP 6-5 220 Senior German Valley, Ill.
45 Jake Whitbeck OF 6-0 185 Freshman West Salem, Wis.
49 Doug Knight RHP 5-9 145 Senior Camano Island, Wash.
Hit .182 after appearing in 14 games, starting five..
Football: Letter (3x), Honorable Mention All-Conference. Pitched in 11 games, starting in 10 of those for 53.2 innings.. Garnered a 3.19 ERA, striking out 25 while only walking 10. Finished the year with a 3-1 record. Pitched 2.2 innings over two relief appearances ... Allowed seven hits and four earned runs. Pitched one inning, facing two batters. Appeared in 10 games with seven starts ... Posted a batting average of .292 with seven hits and one triple. Appeared in four games ... Registered five put outs. Appeared in one game on the mound for two innings... Allowed six runs on five hits in those two frames. Tossed one shutout inning against Wartburg on April 16 ... only gave up one hit, a double, in first career appearance at Coe on April 2. Finished fourth on team in batting average ... collected season-high three hits with four RBIs in win over Simpson on April 9 ... recorded two hits, one run, and three RBIs combined in two-game IIAC tournament ... recorded eight hits and 10 RBIs in five-game stretch against Central and Luther. Tossed one shutout inning at Coe on April 2 ... allowed one earned run in one inning of relief in first career appearance vs. North Central (Minn.). Pitched 17.1 innings in eight appearances ... Surrendered nine earned runs for a 4.67 ERA, while also recording one save. Hosted by Buena Vista Univ. Paul Wyczawski (pronounced WHY-CHOW-SKI) was named the 17th coach in the history of the baseball program at the University of Dubuque in 2012. In his time at UD, Wyczawski has coached 8 All-Iowa Conference selections (4-First Team, 4-Second Team, 2-Honorable Mention) and 1 All-Region player. Wyczawski joined the Spartans after spending two seasons as head coach at University of Texas-Tyler. The Patriots finished 33-12 in 2012 and 33-8 in 2011 en route to back-to-back ASC East Division Championships and qualified for the NCAA Regionals in 2011. Wyczawski joined UT-Tyler after serving six seasons as assistant coach and recruiting coordinator at Murray State University in Murray, Ky. Prior to Murray State, Wyczawski spent 10 seasons as the head coach at Hillcrest Christian School in Jackson, Miss., finishing with a record of 252-73 and captured three-straight state championships from 1996-98. Wyczawski also led Hillcrest to state runner-up finishes in 1999 and 2003. Wyczawski has also served as an associate scout for the Texas Rangers (1996-2003) and the Pittsburgh Pirates (1994-1995). Wyczawski began his coaching career in 1984 as the head coach at Yankton College (S.D.). After a 9-7 season at Yankton, Wyczawski spent five seasons as the head coach at Peru State (Neb.) posting a career record of 108-100, including five trips to the NAIA postseason tournament. Wyczawski left Peru State after the 1990 season and joined legendary coach Ron Polk’s staff as a graduate assistant at Mississippi State. Wyczawski served as the assistant pitching coach and bullpen coach on two NCAA Regional Tournament teams. In his time in Starkville, Wyczawski helped tutor three first-round draft picks. Wyczawski started his collegiate ball at St. John’s (MN) in 1978 before finishing at South Dakota State University where he was a two-time letterwinner for the Jackrabbits. As a senior, he served as a team captain, earned All-North Central Conference honors, and was named academic All-NCC in 1981. 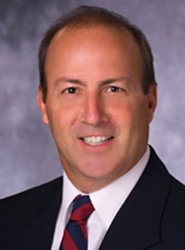 Wyczawski graduated from SDSU in 1981 with a bachelor’s degree in health and physical recreation. He received his master’s degree in physical education from University of South Dakota in 1984 and his second master’s degree from Mississippi State in 1991 in educational leadership. He was inducted as a member of the New Ulm Hall of Fame in 2002. Head Coach Paul Wyczawski earned IIAC Coach of the Year honors as he led the Spartans to a record breaking season as the Spartans set the school record with 23 overall wins and 17 Iowa Conference wins. The previous record for wins in a season was set in 1995 with 22 overall wins, while the previous conference wins mark was 13 wins in both the 1985 and 1986 seasons. The second place regular season finish in the Iowa Conference is also the best finish in the conference standings school history. Austin McWhite (Orlando, Fla. / Wekiva) earned first team outfield honors, hitting .336 in 39 games with four home runs and 21 RBI’s. McWhite patrolled center field for the Spartans and recorded 82 putouts and six assists with only one error for a fielding percentage of .989. Thomas Kempf (Chicago, Ill. / Lane Tech Prep) held down first base on his way to All-Iowa Conference honors. In his sophomore campaign, Kempf led in the Iowa Conference with a batting average of .396 and on base percentage with an OBP of .470 and had a team high 30 RBI’s. Chase Kueter (Bellevue, Iowa / Bellevue) started all 11 games that he pitched in this season and accumulated a 4-5 record with a 2.24 ERA, the best ERA among UD starting pitchers. Kueter finished the season with 80.1 innings pitched and 68 strikeouts. The 68 strikeouts were second in the Iowa Conference and his five complete games were tied for the most in the IIAC. Nathan Schneiderman (German Valley, Ill. / Forreston) had the best ERA in the entire Iowa Conference in the regular season with 0.00 after allowing no earned runs and only one unearned run. He did not allow an earned run until the Iowa Conference Tournament and finished the season with a 0.47 ERA. Schneiderman pitched 38.0 innings in the 2017 season with only one start, allowing 18 hits scattered over those 38 innings, striking out 42 and earning five saves. Doug Van Dyke (Bartlett, Ill. / Bartlett). Van Dyke pitched in 11 games for UD and started 10 of those where he produced a 6-2 record and 3.66 ERA over 71.1 innings. Will Doherty (Cross Plains, Wis. / Wisconsin Heights) started every single game behind the plate for the Spartans. Over those 40 games he hit .277 with eight doubles and 20 RBI’s. As a catcher, he was second in the Iowa Conference, throwing out 16 runners trying to steal. Doherty produced a fielding percentage of .975 with 286 putouts and 26 assists. 2016 Baseball (L-R): Front row: Trace Florek, Kyle May, Brian Sholty, Nick Sewruk, Derek Kornfeind, Thomas Sheppard, Ryan Karrick, and Phillip Byrd. Second row: Jacob Padilla, Eric Hall, Austin Thomas, Head Coach Paul Wyczawski, Assistant Coach Luke Kalb, Assistant Coach Kevin Soine, Michael Salazar, Tyler Imrich, and Gaetano Florio. Third row: Tyler Lewan, Trent Van Egtern, Jarad Clevenger, Dalton Garst, Chase Kueter, Thomas Kempf, Jacob Evans, and Austin McWhite. Back row: Will Doherty, Reed Stumpf, Derek Erwin, Nathan Schneiderman, Daniel Karnick, Doug Van Dyke, Jeremy Morski, and Tyler Trifiletti. Absent was Eddie Pablo. Head Coach Paul Wyczawski and the University of Dubuque baseball team clinched their first Iowa Conference tournament berth since 2005 after finishing fifth with a 19-23 record, 12-16 in the Iowa Conference. Despite six hits, including a home run, from third basemen Dalton Garst, the Spartans were eliminated from the tournament after a 9-5 defeat to #4 seed Coe, followed by a loss to #6 seed Simpson, 10-6. A sweep over Central and three wins against Loras propelled UD to its first IIAC Tournament berth in 11 years and its most IIAC wins since 1995. Centerfielder Austin McWhite was one of three Spartans, all juniors, named All-Iowa Conference and led the team in 10 major categories during IIAC play, including slash line (.367/.463/.608), home runs (3), and runs (22). McWhite was picked First Team Utility, while third basemen/pitcher Garst and starting pitcher Reed Stumpf both added Second Team honors. The aforementioned trio of juniors will guide a senior class of 14 next season as UD looks for its first 20-win season since 1995 and back-to-back IIAC Tournament berths. Front Row: James Workman, Eddie Pablo, Gaetano Florio, Marcel Felsmann, Tyler Imrich, Quyn Clark, Will Fogel, Trace Florek, Kyle May, Derek Kornfeind, and Ryan Karrick. Second Row: Jacob Padilla, Michael Salazar, Eric Hall, Head Coach Paul Wyczawski, Asst. Coach Greg Smolinski, Asst. Coach Eric Munson, Asst. Coach Matt Wohrley, John Henderson, Alex Buttell, and Alan Kopp. Third Row: Daniel Casanova, Kevin Scranton, Jacob Evans, Doug Van Dyke, Will Doherty, Matt Hogan, Dalton Garst, Tyler Lewan, Trent Van Egtern, and Aaron Boettger. Back Row: Michael Riordan, Josh Eastman, Noah Burdt, Matt Stone, Derek Erwin, Daniel Karnick, Reed Stumpf, Chris Fields, Cam Sorenson, Austin Monfross, Austin McWhite, and Tyler Trifiletti. DUBUQUE, Iowa – Senior starter, Josh Eastman, and the University of Dubuque baseball team flexed their muscles and potential in an emphatic day one sweep of No. 11 ranked Wartburg amidst a season where they finished 12-28, 7-21 in the Iowa Conference. UD’s chase for their first IIAC Tournament berth since 2005 will have to wait after the Spartans placed eighth in the conference. Centerfielder Daniel Casanova and pitcher/infielder/designated hitter Dalton Garst were the first pair of Spartans to make the All-IIAC First Team since 2007. Garst led the Spartans with a .379 batting average and finished with a 5.66 ERA with 22 strikeouts and three walks in seven starts on the bump. Casanova claimed his second All-IIAC First Team award and was second on the team with a .362 batting average and added 15 steals. The Spartans were hot after completing a 3-1 series at the aforementioned Central and Eastman set the tone with a lights out game one against Wartburg. One of the few seniors on a sophomore-laden team, Eastman retired the first seven Knights and gave up two hits in a 2-0, complete-game, seven-inning win. The Edgerton, Wis. native’s efforts led to his first IIAC Pitcher of the Week honor. Eastman closed out a stellar career for UD as he finished up 4th all-time in wins, 4th in complete games, 6th all-time in earned run average at 3.81, 6th in appearances, and 8th in strikeouts and 4th in complete games. In game two, the Spartan bats erupted for 15 hits and withstood a mini-rally from the Knights in a convincing 9-5 victory. Five Spartans had multi-hit games and eight Spartan batters collected at least one RBI as UD took a 9-1 lead they would never relinquish. The Spartan victories over Wartburg were a high point in a season that featured a number of close calls. Half of UD’s defeats came by two runs or less, including all four games in the season finale at Simpson. In a rare instance, all three of UD’s first three defeats at Simpson came via a walk-off single with bases loaded and two outs. UD started off the season with a three-game of sweep of Elmhurst (Ill.) on the road by the combined score of 19-5, prior to their Spring Break trip to Fort Myers, Fla. UD completed their nine-game spring break trip with a 2-7 record, but ended it on a high note after dismantling McDaniel, 20-5. In its highest scoring game of the year, UD scored in every inning and plated 13 runs over the final five innings in the nine-inning affair. Casanova continued his productive spring break to lead the Spartans with a team-high four hits and three runs scored while UD starter and two-way threat, Dalton Garst (2-0), picked up the win after allowing five earned runs and seven hits in 6.0 innings of work. Garst also went 2-for-5 at the plate with two hits and a team-high four RBIs. “Dalton Garst had a terrific year in leading our offense and his versatility was immeasurable as a starting pitcher,” added Coach Wyczawski. The future looks bright for a team that brings back Austin McWhite, who belted six home runs (third in the IIAC), and a pitching staff that led the IIAC in fewest walks per nine innings (27th in Division III) and best strikeout to walk ratio (51st in Division III). Front Row: James Workman, Eddie Pablo, Gaetano Florio, Alan Kopp, Michael Salazar, Harley Miller, Batboy, Michael Riordan, Eric Hall, Matt Hogan, Justin Naval, Will Fogel, and Ryan Karrick. Middle Row: Tyler Trifiletti, Austin McWhite, Daniel Casanova, Steve Ryan, Head Coach Paul Wyczawski, Asst. Coach Greg Smolinski, Asst. Coach Matt Worhley, Asst. Coach Eric Munson, Asst. Coach Mark Hennessy, Vince Parisi, Joey Kilsdonk, John Henderson, Jacob Padilla, and Daniel Porteous. Back Row: Dalton Garst, Austin Monfross, Josh Eastman, Noah Burdt, Ryan Moritz, Daniel Karnick, Derek Erwin, Mitchell Haferbier, Chris Fields, Reed Stumpf, Lucas Kahl, Quynn Clark, Jacob Evans, Trent Van Egtern, and Jonathan Vercimak. The 2014 University of Dubuque Baseball team finished the season with an overall record of 14-26 and seventh place in the Iowa Conference at 9-19 under Head Coach Paul Wyczawski. Freshman Daniel Casanova (Outfield) was named First Team All-Iowa Conference, the only freshman on first team. Senior Vince Parisi (Catcher) and freshman Eddie Pablo (Utility) were selected 2nd Team All-IIAC. Freshman Justin Naval (Relief Pitcher) was recognized as Honorable Mention All-IIAC. During the 2014 season, Casanova set a UD Single Season Record with 28 stolen bases. Naval tied the Single Season School Record with six saves. Parisi led the IIAC with 13 Hit by Pitches and Casanova's 28 stolen bases were 13 more than the next closest base stealer. Josh Eastman, Lucas Kahl, Daniel Karnick, and Joey Kilsdonk all earned Academic All-Iowa Conference. Front Row: Daniel Porteous, Joey Kilsdonk, Alan Kopp, Steve Ryan, Jordan Jeske, John Henderson, Tim Ciskowski, Tyler Trifiletti, Tyler Runge, Michael Riordan, Justin Clark, James Workman, and Eric Pelano. Middle Row: Kyle Duggan, Andy Danna, Aaron Laskowski, Brock Grubbs, Head Coach Paul Wyczawski, Asst. Coach Greg Smolinksi, Asst. Coach Matt Worhley, Asst. Coach Eric Munson, Asst. Coach Mark Hennessy, Austin Monfross, Vince Parisi, Noah Mahlik, and Jordan Gawronski. Back Row: Nick Martin, Josh Eastman, Lucas Kahl, Max Nank, Mitch Windle, Mitchell Haferbier, Daniel Karnick, Tyler Santeler, Lucas Ware, Chris Briggs, Landon Klostermann, and Spencer Kuehn. The 2013 University of Dubuque Baseball team finished the season with an overall record of 11-25 and eighth place in the Iowa Conference at 9-19 under first year Head Coach Paul Wyczawski. Senior Spencer Kuehn (Outfield) was named 1st Team All-Iowa Conference. Seniors Jordan Gawronski (Outfield) and Nick Martin (Second base) were selected 2nd Team All-IIAC. Junior Josh Eastman (Pitcher) was recognized as Honorable Mention All-IIAC. During the 2013 season, Andrew Danna set UD Career Records in Runs, Doubles, Triples, Games Played, At Bats, Total Bases, and Assists. Josh Eastman, Brock Grubbs, Joey Kilsdonk, and Eric Pelano all earned Academic All-Iowa Conference. Front Row: Michael Campbell, Michael Riordan, Joey Kilsdonk, Benjamin Rockwell, Kyle Duggan, Jordan Gawronski, Vince Varisi, Aaron Laskowski, Brock Grubbs, and Eric Pelano. Middle Row: Landon Klostermann, Nick Martin, Andrew Danna, Nathan Lucas, Noah Mahlik, Zachary Ahrens, Austin Monfross, Andrew Denton, Carlos de la Cruz, Jesse Lawler, Ryan Tackitt, Kyle Staats, Paul Krenger, and Brady Harris. Back Row: Asst. Coach Andrew Reese, Asst. Coach Greg Smolinski, Asst. Coach Ryan Kelley, Tim Ciskowski, Philip Elking, Josh Eastman, Nicholas Baldocchi, Mark Hennessy, Mitch Windle, Max Nank, Conor Kelley, Eric Edkin, Kyle Koberna, Todd Whited, Christopher Briggs, Spencer Kuehn, Asst. Coach Alex Kollack, and Head Coach Shane Schellsmidt. The 2012 University of Dubuque Baseball team finished the season with an overall record of 18-22 and eighth place in the Iowa Conference at 6-18. Senior Paul Krenger (Pitcher) was named 2nd Team All-Iowa Conference. Krenger was also selected 3rd Team D3baseball.com All-Region. Brock Grubbs, Mark Hennessy, Joseph Kilsdonk, Kalen Mace, and Ryan Tackitt all earned Academic All-Iowa Conference. Front Row: Paul Krenger, Kyle Staats, Vince Parisi, Kalen Mace, Ben Rockwell, Trevor Kinnett, Kyle Duggan, Mac Shepherd, and Tyler Weiss. 2nd Row: Todd Whited, Matt Gaddis, Mitch Goff, Joey Kilsdonk, Andy Denton, Ben Schmidt, Adam Hocking, Bobby Shepherd, Aaron Laskowski, Brock Grubbs, and Noah Mahlik. 3rd Row: R.J. Aubert, Andrew Reese, Mark Hennessy, Nathan Lucas, Asst. Coach Andy Peterson, Head Coach Shane Schellsmidt, Asst. Coach Jason Crane, Jeff Stevens, Christian Armas, Ryan Tackitt, Nick Martin, and Andrew Danna. Back Row: Jacob Sylvester, Phil Elking, Nick Baldocchi, Tom Crohan, Tim Ciskowski, Eric Edkin, Mitch Windle, Elliott Visuri, Klayton Breitbach, and Trace Welch. The 2011 University of Dubuque Baseball team finished the season with an overall record of 19-20 and eighth place in the Iowa Conference at 8-15. R.J. Aubert, Brock Grubbs, and Mark Hennessy all earned Academic All-Iowa Conference. Grubbs was selected 1st Team Capital One/CoSIDA Academic All-District. Front Row: Andrew Denton, Aaron Laskowski, Kalen Mace, Kyle Duggan, Bobby Shepherd, Andrew Danna, Nick Martin, Brock Grubbs, Matt Gaddis, and Chris Williams. Middle Row: Louis Dettorre, R.J. Aubert, Klayton Breitbach, Landon Klostermann, Adam Hocking, Noah Mahlik, Asst. Coach Mark McCarthy, Head Coach Shane Schellsmidt, Asst. Coach Jason Crane, Alex Larson, Julian Cantu, Steven Skutley, Todd Whited, and Andrew Reese. Back Row: Jeff Stevens, Derec Thompson, Mitch Windle, Mark Hennessy, Phil Elking, Hector Diaz, Austin Linderwell, and Jesse Lawler. The 2010 University of Dubuque Baseball team finished the season with an overall record of 18-22 and eighth place in the Iowa Conference at 6-18. Freshman Andrew Danna (Shortstop) was named 3rd Team ABCA All-Region. Danna also set an Iowa Conference record with 13 doubles in IIAC only games. Louis Dettorre and Mark Hennessy each earned Academic All-Iowa Conference. #1- Jeff Stevens, #2-Nate McSpadden, #4-Chris Hylland, #5-Mark Hennessy, #7-Nolan Voss, #8-Andrew Reese, #12-Cole Freese, #13-Caleb Russell, #14-Jason Hilby, #15-Hector Diaz, #16-Orlando Mejia, #17-Julian Cantu, #18-Bobby Orosco, #19-Steve Skutley, #20-Chris Duran, #21-Blayke Conway, #23-Jesse Ramirez, #24-Alex Larson, #26-Evan Bierman, #27-Justin Ramos, #29-Shadi Abuhakmeh, #30-Michael Rivera, #31-Jordan Skaar, #35-Bill Albee, #36-Andrew Denton, #38-Justin Christian, #39-Jossue Vega, #40-Ryan Jordan, #41-Jake Rannals, #42-Louis Dettorre, #44-Robert Sarver, #46-Eric Rausch, #50-Mike Hoppman. Asst. Coaches: Mark McCarthy, Jason Crane, Mike Edmonds, and Kamron Koplitz. The 2009 University of Dubuque Baseball team finished the season with an overall record of 8-31 and ninth place in the Iowa Conference at 2-20. Front Row: Ryan Jordan, Alex Larson, Matt Lampugnano, Michael Rivera, Tony Bladel, and Andrew Reese. Middle Row: Jordan Skaar, Andy Crane, Chris Duran, Ron Manthe, Stryder Morissette, and Michael Ramso. Back Row: Asst. Coach Mark McCarthy, Asst. Coach Mike Edmonds, Justin Ramos, Byron Abram, Cody Doonan, Tony Foster, Eric Rausch, Bobby Orosco, Theodore Bishop, Troy Strom, Nolan Voss, Bill Albee, Kamron Koplitz, Justin Shaffer, Chris Dahle, Asst. Coach Andy Peterson, and Head Coach Shane Schellsmidt. The 2008 University of Dubuque Baseball team finished the season with an overall record of 14-25 and ninth place in the Iowa Conference at 7-16. Senior Alex Martinez (Third base) was named 1st Team All-Iowa Conference. 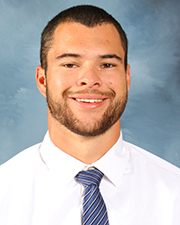 Senior Michael Ramos (Outfield) was selected 2nd Team All-IIAC. Senior Danny Cantu (Shortstop) was recognized as Honorable Mention All-IIAC. Martinez also earned 2nd Team ABCA All-Region. Cantu and Ramos were named 3rd Team ABCA All-Region. Tony Foster and Justin Shaffer each earned Academic All-Iowa Conference. Foster was also selected Second Team ESPN The Magazine/CoSIDA Academic All-District. Front Row: Andrew Rubly, Matt Lampugnano, Alex Larson, William Davila, Benjamin Gomez, Tony Bladel, Michael Ramos, Stryder Morissette, Arron Merchlewitz, and Alex Martinez. Middle Row: Tadd Boals, Tony Foster, Chris Duran, Troy Strom, Bill Albee, Danny Cantu, Justin Shaffer, Jordan Skaar, Darren Joniec, and Chris Jones. Back Row: Asst. Coach Mark McCarthy, Zachary Kass, Kamron Koplitz, Ted Bouchee, Adam Brink, T.J. Chase, Nolan Voss, Justin Ramos, Chris Dahle, Eric Rausch, Jeremy Perez, Kyle Harris, Asst. Coach Jason Crane, and Head Coach Shane Schellsmidt. The 2007 University of Dubuque Baseball team finished the season with an overall record of 13-27 and tied for eighth place in the Iowa Conference at 7-17. Senior Zach Kass (Designated Hitter) and junior Alex Martinez (Second base) were selected 1st Team All-Iowa Conference. Juniors Danny Cantu (Third base) and Kyle Harris (Catcher) each made 2nd Team All-IIAC. Martinez was also named 3rd Team ABCA All-Region. T.J. Chase, Justin Ramos, and Justin Shaffer all earned Academic All-Iowa Conference. #1-Brian Johannsen, #2-Tony Bladel, #3-Stryder Morissette, #4-Mitch Williams, #5-Andy Crane, #6-Justin Shaffer, #7-Ben Maiers, #8-Bill Albee, #9-Kyle Harris, #10-Adam Burroughs, #11-T.J. Chase, #12-Adam Brink, #13-Bobby Vos, #14-Jeff Hoerner, #15-Bradlee Kirkman, #16-Billy French, #17-Kamron Koplitz, #18-John Uribe, #19-Cory Schmaltz, #20-Jason Bernard, #21-Jarrod Koos, #23-Andre Robles, #24-Ryan Dunkel, #25-Joe Martin, #26-Tim Kinney, #27-Jeremy Rannals, #28-Byron Abram, #29-Brandon Zellner, #30-Ryan Jordan, #31-Jeremy Perez, #35-Andrew Schmidt, #36-Jordan Skaar, #37-Eric Rausch, #38-Timothy Terrell, #39-Chris Dahle, #42-Jamey Rannals, #45-Nolan Voss, #46-Pat Simmons. Asst. Coaches: Mark McCarthy, Corey Parr, and Andy Peterson. The 2006 University of Dubuque Baseball team finished the season with an overall record of 14-25 and tied for seventh place in the Iowa Conference at 5-11. Senior Jeremy Rannals (Outfield) and junior Kamron Koplitz (Pitcher) each made 2nd Team All-IIAC. Rannals was also named 3rd Team ABCA All-Region. Rannals had an excellent season on the bases finishing the year a perfect 26-26 in stolen base attempts to lead the IIAC. T.J. Chase, Chris Dahle, Ryan Dunkel, Tim Kinney, Ben Maiers, and Justin Shaffer all earned Academic All-Iowa Conference. Middle Row: Justin Shepard, Jeremy Rannals, Adam Burroughs, Andre Robles, Cole Lyons, John Uribe, Ben Ecker, Ryan Dunkel, Joseph Hapanionek, and Mark Becker. Back Row: Asst. Coach Chet Knake, Asst. Coach Mark McCarthy, Bradlee Kirkman, Kamron Koplitz, Tim Kinney, Don Tobin, Nathan Mozena, Mike Blavat, Adam Brink, T.J. Chase, Byron Abram, Mike White, Jamey Rannals, Michael Cassidy, Asst. Coach Corey Parr, and Head Coach Shane Schellsmidt. The 2005 University of Dubuque Baseball team finished the season with an overall record of 19-18 and tied for fifth place in the Iowa Conference at 7-9. The Spartans upset #1 seed Wartburg 3-2 in 11-Innings in the opening round of the IIAC Tournament. UD would lose the next two games to be eliminated from the double elimination tournament. Senior Joseph Hapanionek (First base) earned 1st Team All-Iowa Conference. Hapanionek was also selected 1st Team ABCA All-Region, 1st Team NCBWA All-Region, 3rd Team ABCA All-American, and 3rd Team NCBWA All-American. Hapanionek led all of Division III with a .888 Slugging Percentage and .43 (16-total) Home Runs per game. He also led the Iowa Conference with 16 Home Runs, .416 Batting Average, .888 Slugging Percentage, and 111 Total Bases. He also finished second with 53 Runs Batted In and third with a .503 On Base Percentage. Spartans also finished 3,4,5 individually in the walks category with Tim Cook (3rd, 25), Justin Shepard (4th, 24), and Hapanionek (5th, 22) all showing the ability to draw a base on balls. Cook also led the IIAC with 18 steals. Tim Kinney earned Academic All-Iowa Conference. Front Row: Kyle Miller, Chris Moyer, and Kevin Sullivan. Second Row: Asst. Coach John Robichaud, Chris Tanner, Jason Crane, Ben Blair, Angelo D'Orio, Andy Peterson, Ben Ecker, Keith Bernard, Nate Mozena, Mark Becker, Justin Shepard, Eric Eul, and Asst. Coach Chet Knake. Third Row: Ezra O'Heron, Clint Morning, Jarred Koos, Cole Lyons, Travis Lyons, Tim Kinney, Josh Uhlenhake, Paul Perrone, Mitch Williams, and Lucas Gillmor. Back Row: Trainer Dave, Asst. Coach Mark McCarthy, Asst. Coach Mike Edmonds, Jimmy Hudson, Kamron Koplitz, Michael Cassidy, Dustin Hauswirth, Josh Knoll, Mike Blavat, Adam Busch, Tim Griffith, Joe Hapanionek, Jeremy Rannals, Jamey Rannals, Asst. Coach Corey Parr, and Head Coach Shane Schellsmidt. The 2004 University of Dubuque Baseball team finished the season with an overall record of 12-26-1 and in ninth place in the Iowa Conference at 3-13. Senior Keith Bernard (Shortstop) was named 2nd Team All-IIAC. Tim Griffith, Tim Kinney, and Andy Peterson earned Academic All-Iowa Conference.